The Sister Bay Lions Club held its 39th annual Packer Night for community youth on March 27. 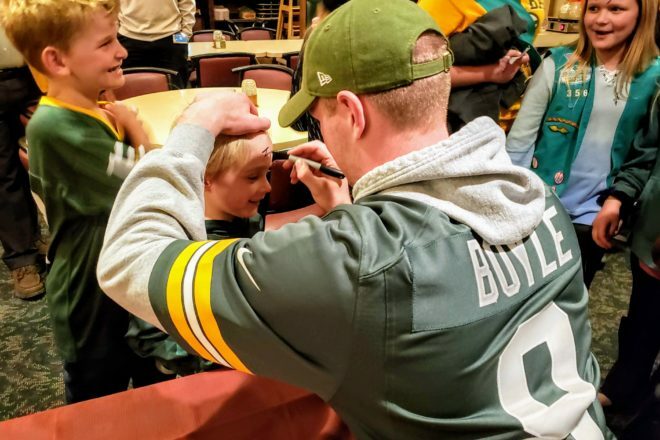 New this year were kids’ requests for the special guest – Tim Boyle, #8 quarterback – to autograph their foreheads. Submitted by Lion Tom Sadler.